with his shirt off), the actor has categorically stated that the Superstar is his role model. What seems to have smitten the actor the most about the Superstar is that Rajini - while earning the most that any actor has in India - does as much good for the ordinary man. actor made these remarks at a press conference for his to-be-released Hollywood film Marigold. Pillai and Kiran Juneja. Willard Carroll of the 1998 Sean Connery/Angelina Jolie starrer Playing by Heart fame has directed it. yesterday. The film will be released soon in a grand manner." He added, "Govinda said that I was his role model. I am very honoured to have him say this about me. 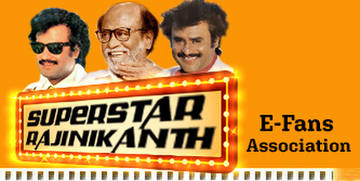 But for me Rajinikanth is the actor that I hold in high regard both for his acting and for his off screen efforts. To reach a status that he has in the film industry I very difficult. Despite his stature, he has remained a very simple man. He gives almost all of his earnings to the needy. For an actor, money is not a problem. Spending it right is what is more important. Rajini knows how to use his money for the good of the people. I wish to emulate his charity efforts." Salman Khan is not the only one who has rained praises on Rajini, Aamir Khan too said something about the star to the same effect when he was in Chennai. So who's comment are we waiting for next - Amitabh Bachchan? That'll be the day Bollywood is officially Rajini crazy.